how AIM has helped thousands of people achieve a level of well-being most never consider possible (pets too). We believe once you do your homework, the value of everything AIM offers will be obvious and will seem inexpensive compared to the pre-AIM private practice days when office visits and evaluations were necessary, as described in Sanctuary: The Path to Consciousness (link to http://www.sanctuarylv.com/thebook.php). Additionally, there has never been a price increase since AIM was launched in 1999. We can't think of anything or anyone else that can say that - and the program continues to expand in comprehensiveness and effectiveness almost daily. Nearly 60,000 people (and pets) around the world have personally experienced the extraordinary benefits of the AIM Program of Energetic Balancing. 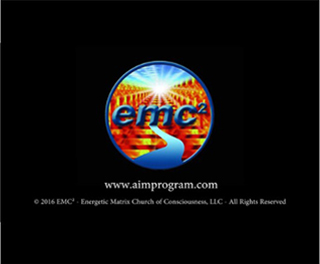 Many have reported amazing improvement as they have used AIM to self-heal, noting changes in their physical health, sense of well-being, their vitality and ability to enjoy life more fully, to adapt to change, to think more clearly, love more deeply and to release unproductive and uncomfortable patterns in their lives. This video shows why Energetic Balancing is so necessary.